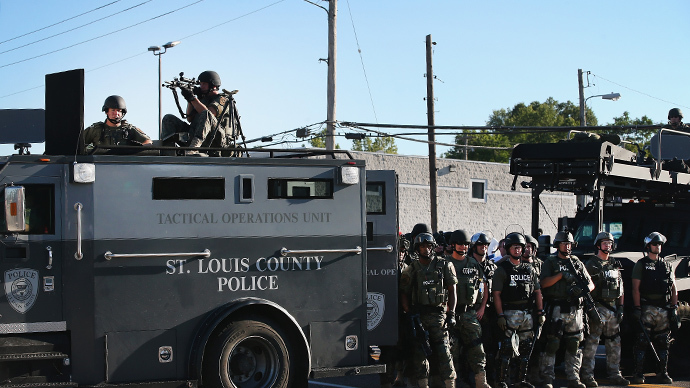 Brutal images of heavily armed police clashing with Ferguson’s protesters pushed US President Barack Obama to question the militarization of the law enforcement, as he reportedly ordered a probe into police use of military gear against Americans. 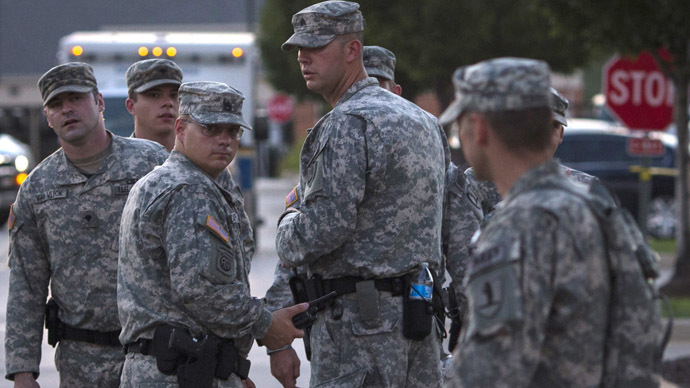 Strategies introduced after 9/11 attacks, which provide police with federal grants and surplus military equipment, including military-grade body armor, mine-resistant trucks, silencers and automatic rifles, will all be reviewed, senior officials told the New York Times. 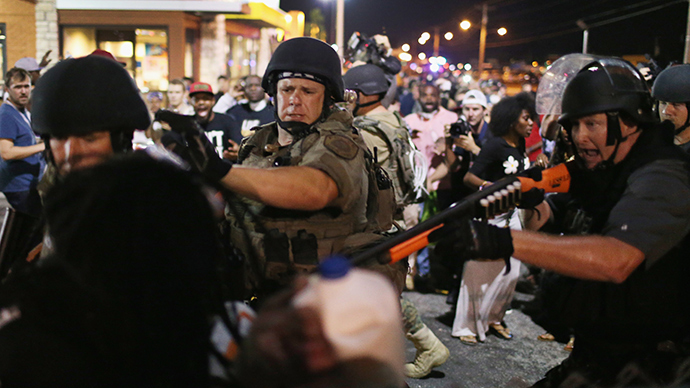 Images of police using such equipment against their own people during the Ferguson protests in Missouri shocked many Americans. The probe will focus on whether the police should be receiving this kind of gear in the first place, on how it is currently being used, and whether the officers are being properly trained for it, according to senior administration and law enforcement officials. Another thing being examined is police oversight policies and inventories. 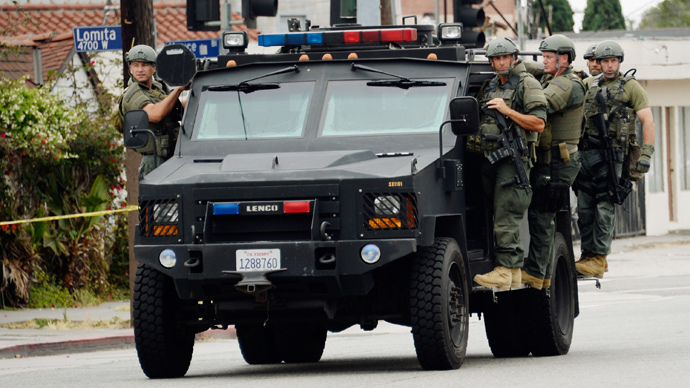 The probe could lead to changes how the police are being armed, including the current distribution of federal grants and military surplus programs, which send military gear and money to local law enforcement agencies under the guise of preparation for terrorist threats. 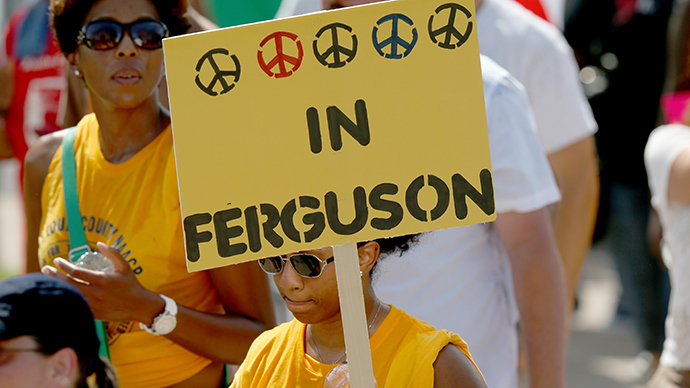 Law enforcement in Missouri, where protests erupted after an African-American teenager was shot to death by a white police officer, was part of such programs. 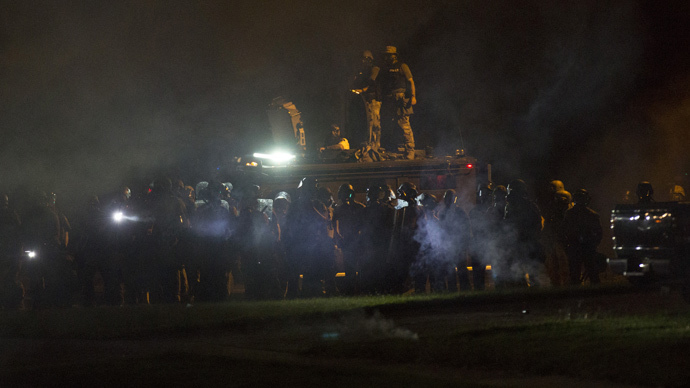 The militarized gear was demonstrated during the Ferguson protests, with police firing tear gas, using military-style vehicles, and assault rifles. 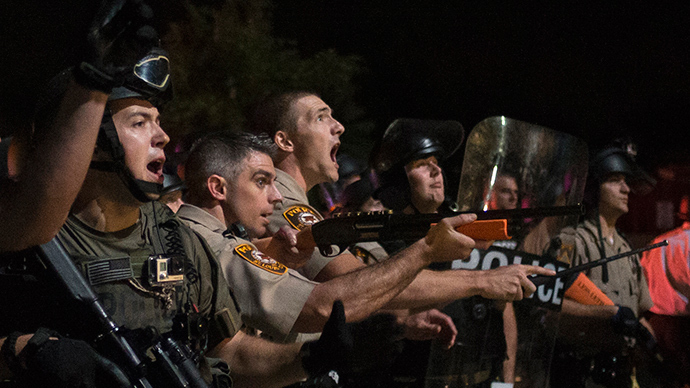 What happened in Ferguson looked like war instead of policing, according to a Kentucky Republican. “The images and scenes we continue to see in Ferguson resemble war more than traditional police action,” Rand Paul wrote in Time last week. The White House will be in charge of the review, including the Domestic Policy Council, the National Security Council, the Office of Management and Budget, as well as the Departments of Defense, Homeland Security, Justice and Treasury. Congress will also be involved in the process.